AIAFA organizza corsi per aspiranti arbitri in tutta Italia e all’estero della durata di un week end. 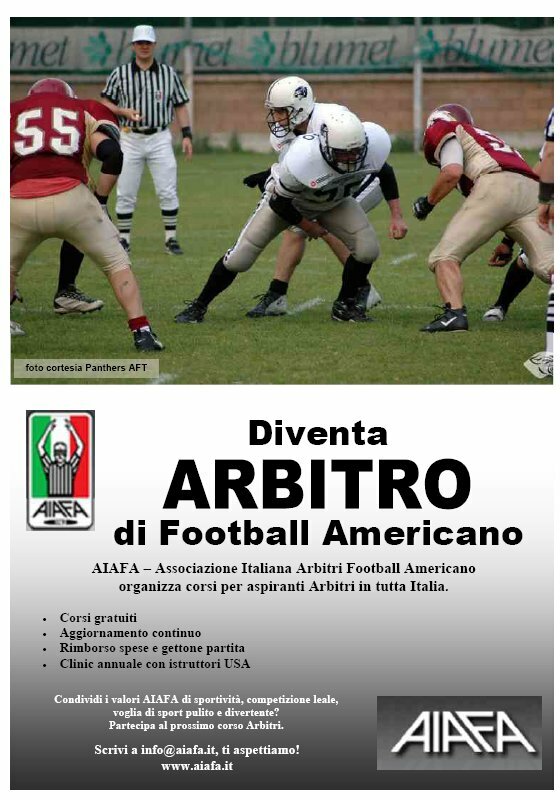 AIAFA organizes training for rookies officials, all over Italy and abroad, douring a week end time. The training is free and opened to everybody. Contact to us for more information.